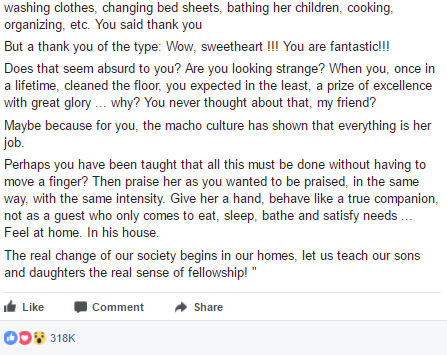 #Facebook user's post about a husband helping his wife do house chores goes Viral for good reasons! An Innocent Facebook post by Tee Edwards has sparked a good trail of thoughts and comments on social media. 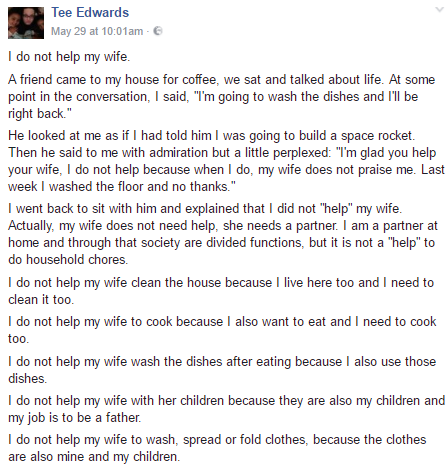 Tee who corrected a notion by sharing this post (a quote by another person) saying doing chores around the house is not only helping your wife but also the man helping himself and his kids. The post has now been shared close to half a million times!